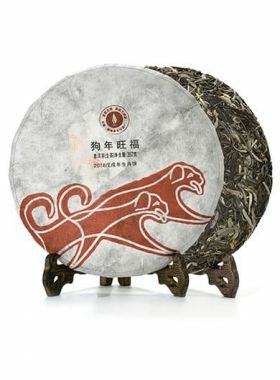 This cake is suitable for people who prefer raw pu'erh which has strong and sharp taste. 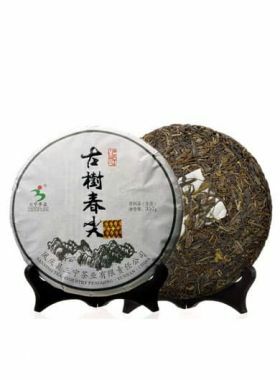 This tea was picked in the autumn of 2012 and pressed into cakes in the spring of 2013; these autumn leaves can be called “Gu Hua” or “Dao Hua”, which is also the origin of this Daohua Xiang tea. 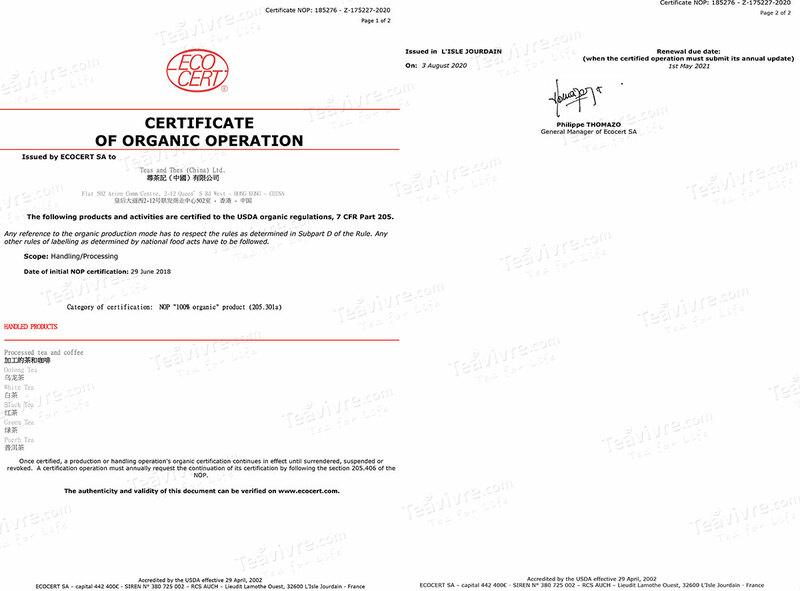 It has been stored in Lincang City under dry storage conditions, meaning that the cake underwent natural fermentation under an environment of moderate temperature and humidity, and because of the ventilation and fresh air, it did not absorb any moldy or otherwise unpleasant odors: as a result, it will greatly retain its original flavor. 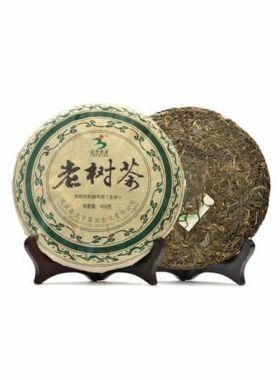 The taste experience of this tea can be divided into three sections: the first two steeps taste weak, for the flavor to open up in the third to fifth steeps with a vaguely astringent aftertaste, but this soon turns to a lingering sweetness. From the sixth steep and on this bitterness weakens, and the first taste up-front is a bittersweet mouthwatering sensation. Overall, this is a cake with an excellent example of a raw pu-erh taste. 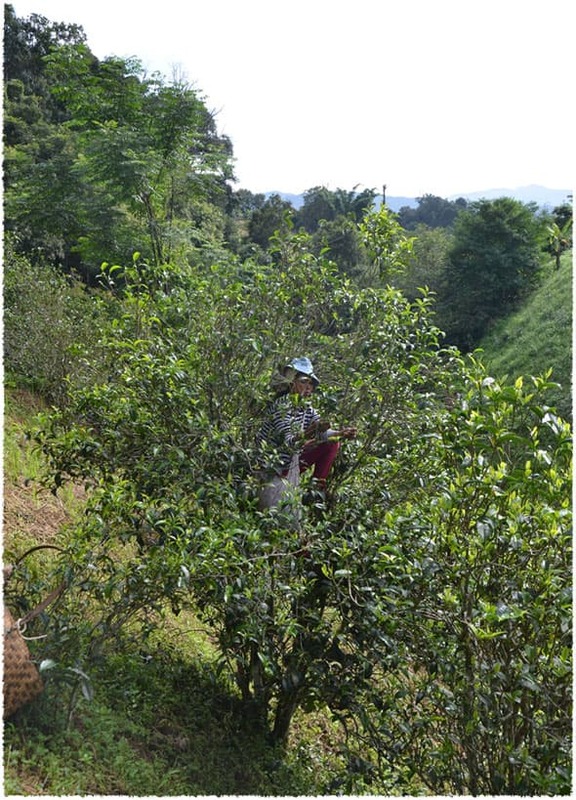 There are fifteen towns in villages in Fengqing that are surrounded by both wild and cultivated old tea trees. 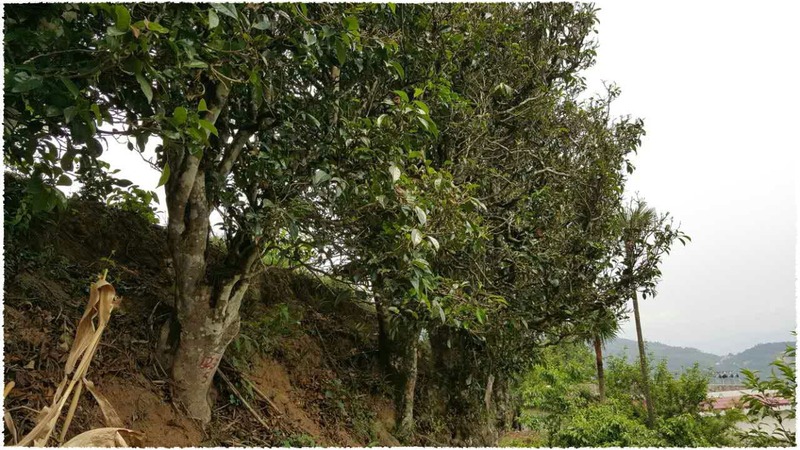 The areas of these that specialize in pu-erh include Xiang Zhu in Xiaowan Town; Xinyuan; Dashi Village; Mengyou Village; Yongxin; and many more, in total covering about 31000 mu. 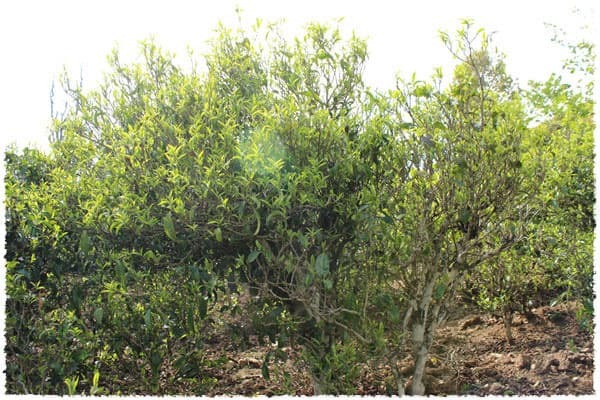 The Mengyou region in Yunnan is prominent in history and is home to many tea trees, half wild and half cultivated. Many of the trees here are aged to a few hundred years, and there are some that are even a thousand years old - or more. The ancient tea plantations here in Mengyou present a special cultural landscape, and lend vitality and history to this place. 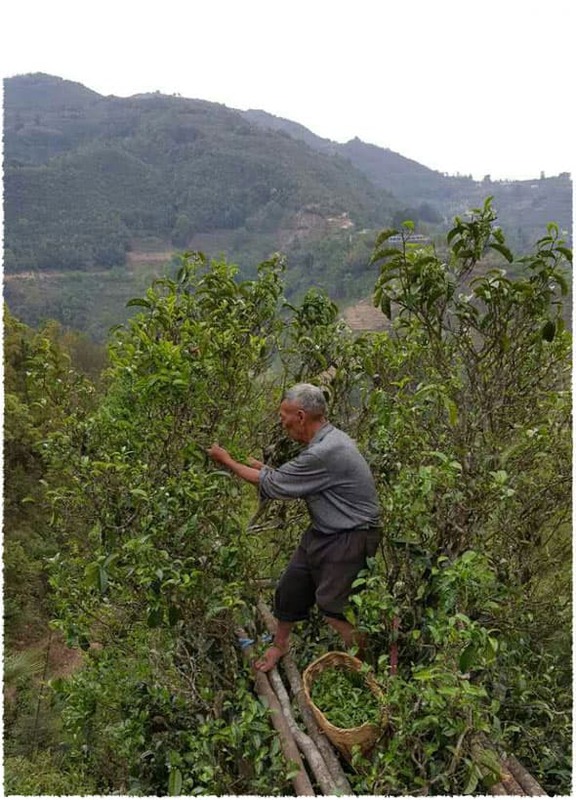 An authentic Yunnan farmer, Mr. Zhou has been avidly contributing to the advancement of the tea business for over 20 years. A short chat with him revealed to us his passion and insistence for the traditional processes of crafting tea; he values the quality inside the tea, and his experience comes from spending most of his time along the tea mountains. Mr. Zhou is passionate about bringing out the natural essence of tea to share with tea lovers around the world, and he claims that the best environment for growing perfect tea is in Fengqing. 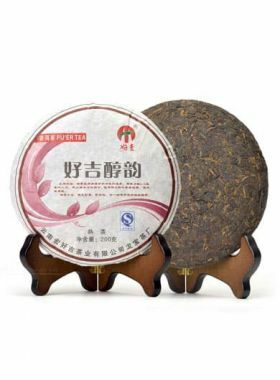 This raw pu-erh cake comes from the representative area for pu-erh production in Fengqing, located south of Dianxi Longitudinal Valley. 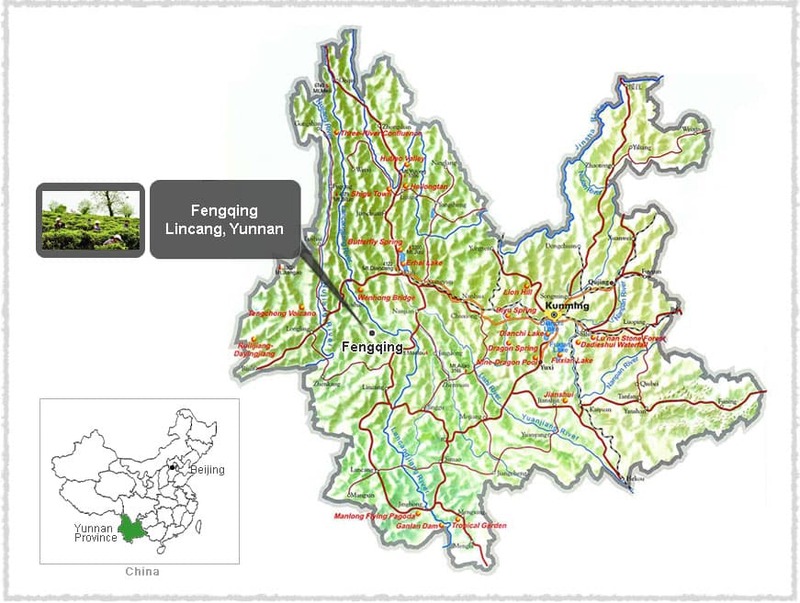 Fengqing is a country in the northwest of Lincang, one of the four famous pu-erh production areas (along with Xishuangbanna, Pu’er, and Baoshan), and is one of the original birthplaces of tea in the world. It is also famous for being the hometown of Yunnan black tea. Fengqing has a long history of planting, producing, and drinking tea, and contains a beautiful throng of mountains webbed with rivers. The highest altitude here is about 3100 meters above sea level, and the lowest about 920. It experiences a subtropical monsoon climate with an average temperature between 13 and 15℃, and often experiences its rainy season along with higher temperatures. The leaves used to make this cake were carefully selected from large-leaf arbor tea trees between 30 and 40 years old, naturally grown without any fertilizer or pesticides.